The Monarch butterfly or butterflies that visited our milkweed plants must have laid some eggs. 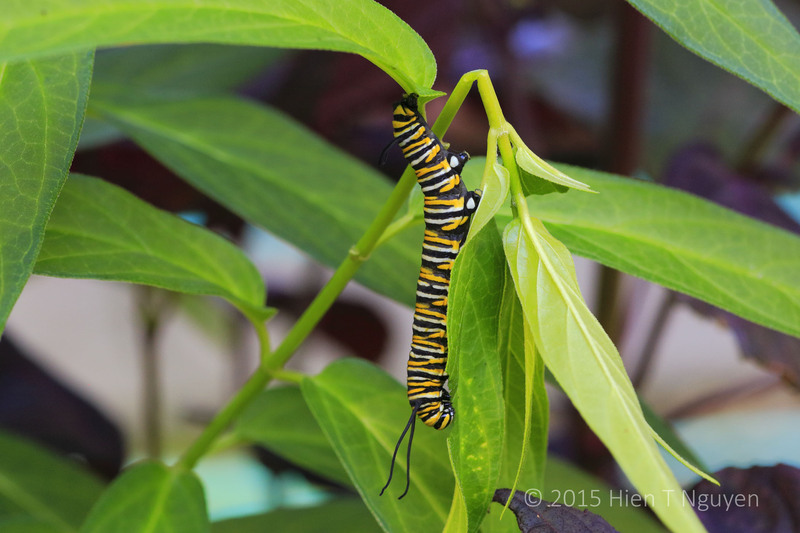 Last week I found several Monarch caterpillars crawling and munching on the plants. 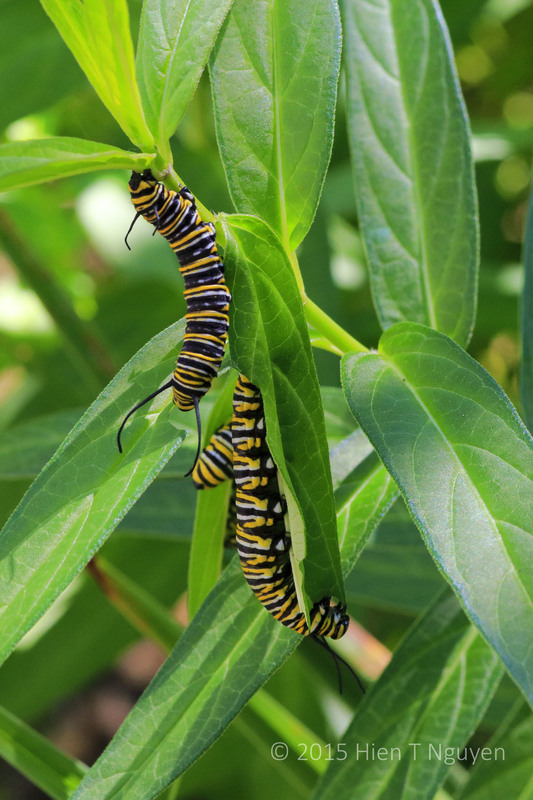 Monarch caterpillars. The head is the end with two small antennas. 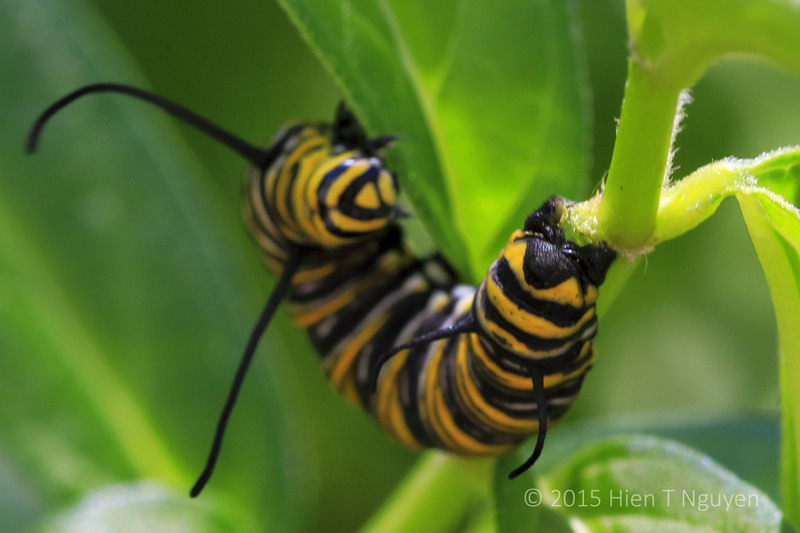 Monarch caterpillar munching on milkweed. However, after a few days they disappeared one at a time, even after new ones were hatched. Today, there are none left. I would like to think they became Monarch butterflies, but I am very afraid that the birds got them before they could do that. Perhaps I should put some netting over the plants as a barrier against birds, but it may already be too late for this year. Thanks Randall. In September, the Monarchs will start their migration South. Next year, when they come back, I hope I will have even more milkweed plants to help them along. 🙂 And I hope they repay you by dancing in front of your camera lens every evening! Yes, next year I’ll be wiser and better prepared. 🙂 Thank you Doda.